As you ride, dual-zone automatic temperature control and Eco-conscious cloth upholstery keep you perfectly relaxed. To carry a larger item, fold down your convenient 60/40 split-folding rear seats and find plenty of room to spare. It's easy to keep track of your electric driving capabilities with the included Smartgauge and Ecoguide system. You also have standard SYNC3® entertainment with an 8-inch touchscreen display and voice recognition. You won't find a better 2018 inventory and auto loans are at their lowest rates in years. Browse our inventory online, then take your test drive when you visit the showroom located at 2741 North Federal Highway, Pompano Beach, FL. 1 Estimated mileage. Actual may vary. To help you optimize the performance of Focus Electric, standard SmartGauge with EcoGuide has customizable LCD displays providing real-time driving metrics. 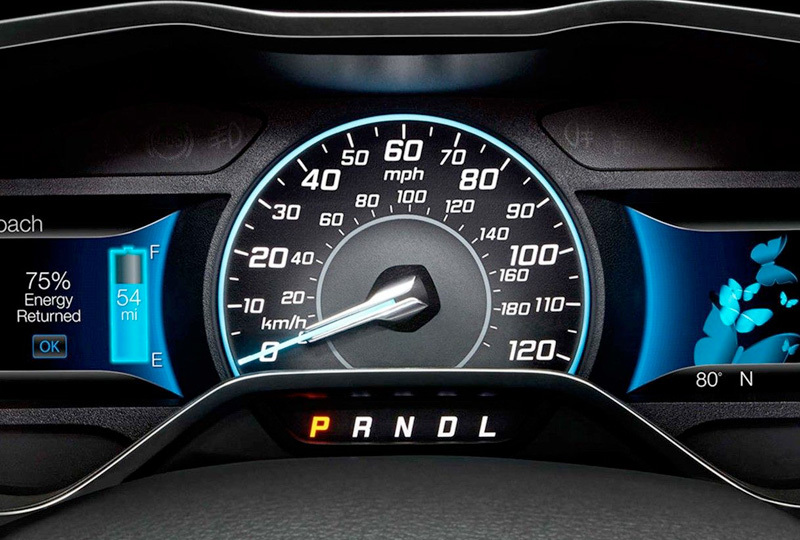 These displays help you develop driving habits that can maximize vehicle efficiency. Content such as the Energy History, Brake Coach and Butterfly screens work together to help you monitor and improve your driving performance and electric range over time. The charge port with LED state-of-charge indicator illuminates when the connector cord is plugged in and indicates that it's connected and charging. When all four bars are solidly lit, the charge is complete for the SAE Combo Connector System and the charge port is capable of charging on 120V, 240V and direct current (DC fast charge). 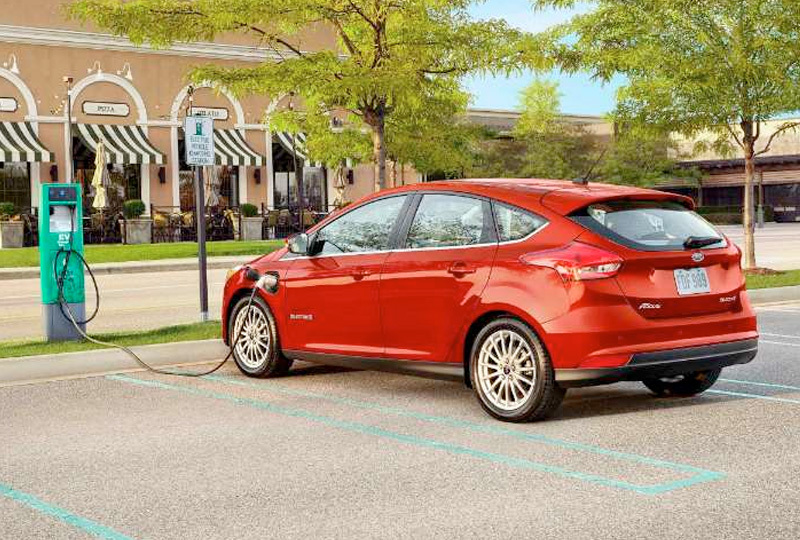 2018MY Focus Electric is a limited production model sold in select states CA/CT/MA/MD/ME/NJ/NY/OR/RI/VT) at Ford EV Certified Dealers. Starting MSRP excludes destination/delivery charge, taxes, title and registration. Optional equipment not included. Starting A, Z and X Plan price is for qualified, eligible customers and excludes document fee, destination/delivery charge, taxes, title and registration. Not all vehicles qualify for A, Z or X Plan. All Mustang Shelby GT350 and Shelby GT350R prices exclude gas guzzler tax. EPA-estimated city/hwy mpg for the model indicated. See fueleconomy.gov for fuel economy of other engine/transmission combinations. Actual mileage will vary. 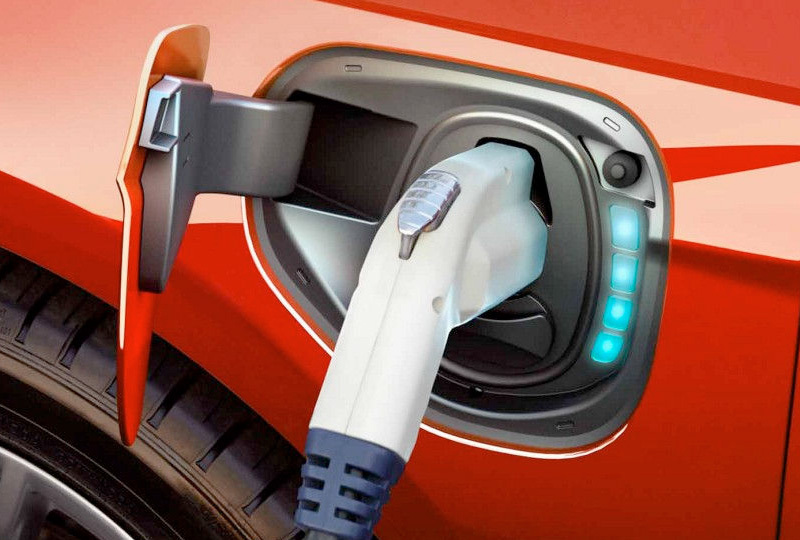 On plug-in hybrid models and electric models, fuel economy is stated in MPGe. MPGe is the EPA equivalent measure of gasoline fuel efficiency for electric mode operation..